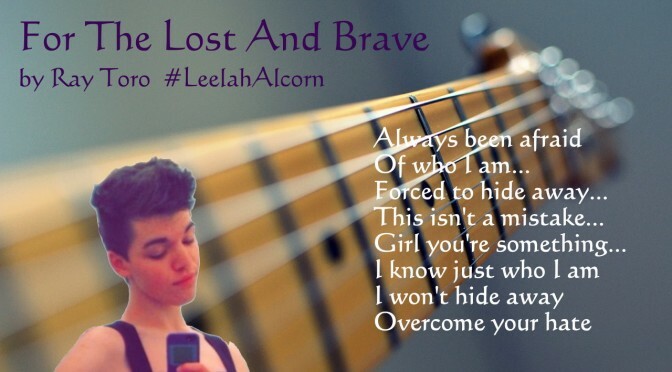 Ray Toro, former My Chemical Romance lead guitarist, and now solo artist since last year, has released his latest track for free and dedicated it to Leelah Alcorn, the Ohio transgender teen who took her own life last week in a suicide that has rocked the world. Approaching 300,000 people have signed a Change.org petition to end the conversion therapy that Leelah was subjected to rather than the gender therapy and transition she requested. On Soundcloud the track has already prompted 160+ comments and led some to tears, many from appreciative LGBTQ+ youth. Gigwise reporter, Andy Morris, says that “Toro’s lyrics perfectly articulate an alienated teenager’s perspective”.